January 1st marks the beginning of a new year of life. Businesses will close out the books from the previous year. Regardless of their profits or losses, January 1 signals both a fresh start to their business and a new season filled with new discoveries. As humans, we realize the significance of a fresh new start in our personal lives. 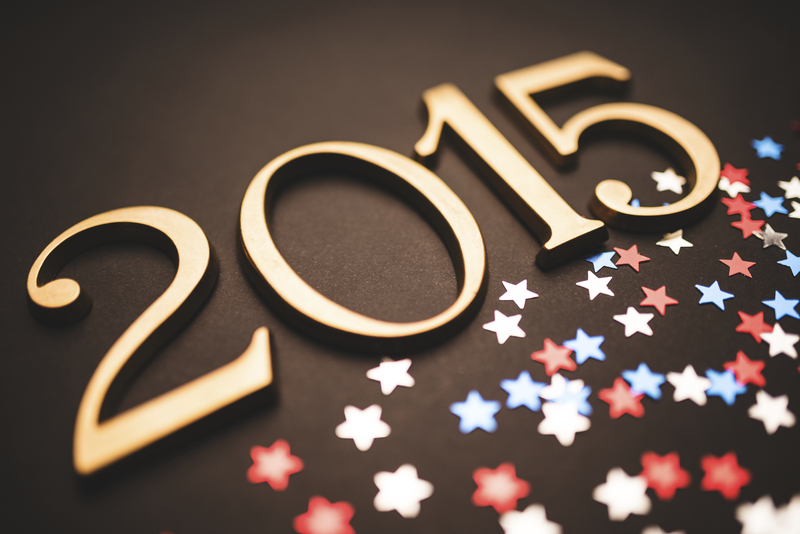 We craft our resolutions for the coming year as we hope to make this New Year different than the last. We resolve to spend more time with our family, to de-clutter our lives and garages, to make healthy changes and choices to assist in the reduction of stress, and of course one of the top resolutions is to lose weight and get in shape. The new gym memberships roll in during that first week of January, only to slowly watch those new members fall victim to the same bad habits and routines that they maintained during the previous year. As one who has struggled with weight most of my life, I was one of those who began every year with the theme of losing the weight. In February of 2014, I found myself being rushed to the hospital with chest pains and a possible heart attack. I found myself at the start of a new year lying in a hospital bed in the Chest Pain wing of the WakeMed Heart Center strapped to all sorts of cables and sensors being monitored for 24 hours. I am happy to report that after a stress test and Nuclear Imaging were performed, I had no heart issues, it was all stress. In June of 2014, I realized that I needed answers from the Lord and so I decided I would go on a fast to seek direction from God. In prayerful contemplation of how to proceed with this fast, I began to follow the Lords direction. As I turned my face toward heaven asking God for answers and direction, I noticed something different not only from a spiritual perspective but also a weight perspective. I began to lose weight. As of the time of this letter, I have lost 30 pounds. I have dropped 6 jacket sizes and 8 inches in my waist. I feel good and I feel healthy. What began as a fast actually turned into a change in my lifestyle. I began to see that not only was I hearing the word for 2015, but He was allowing me to live it out to understand it more clearly. I am a visual learner. God uses pictures or images to speak to me so that I can understand more clearly. After several months with these changes to my eating habits and exercise, I see a different me. I am not the same as I was in July of this past year. I have been in a process of TRANSFORMATION. As I come in contact with many of my friends, they are amazed at the change that has taken place in my weight and body. They know the struggles that I have experienced over my life. I am not that same person who would eat 1⁄2 of a birthday cake in one day. I am changed. I am transformed. And because people know my past eating habits, and known my struggle with weight, it now gives them HOPE. HOPE that if I can do it, so can they. When something is transformed, it no longer looks like its original state. It is different; it has been transformed into something different. Yet we hear so much teaching on grace that if we are not careful, our culture will think that when we come into personal relationship with Jesus Christ, it is OK for us to continue living the same life and making the same lifestyle choices. Friend, if we ever truly encounter the presence of God in the way He desires to reveal Himself to us, we cannot help but experience transformation. This verse in Corinthians (the New Testament) clearly states that some things that we did before Christ, we no longer do simply because we have truly encountered Christ the King. For me, if I go back to doing the same thing that I did in years past, it would not take very long for me to gain back those 30 pounds…..and then some. And to be honest, I do not desire that. I still have another 15-20 pounds that I would like to lose before I hit my goal. Therefore, I must press and pursue and continue making new lifestyle choices if I will truly walk out my transformation. If not, I have merely gone on another diet and never made any changes to my life. If ever our world needed Hope, today is that day. Countless Christians and non- believers fall prey to burnout and hopelessness because we no longer see change as a realistic possibility. When problems or challenges face us, we look for inspiration from somewhere; some small nugget of hope that we can hold on to. It doesn’t have to be monumental; it simply needs to be real, tangible and accessible. reveal Himself to us in a way that will leave us in total amazement of who He is and what He can do. I also believe that when the church experiences God in this magnitude, and when we allow God to bring total TRANSFORMATION to our lives, the by-product of what occurs will shine radiantly to unbelievers which will signal the source of all HOPE….Jesus Christ! The world is actively looking and seeking for the answer. We search for transformation through enlightenment, through education, through wealth, and even through health. However, the only place to find the answer is in a Transformational Encounter with Christ the King. This will be our Vision and Goal for this ministry in 2015. We will actively look for ways that we can impact individuals and introduce them to the King of Kings and Lord of Lords. We will continue to create safe places for people to Discover, Explore, Practice and Pursue the Presence of God. We are actively in discussions with IT engineers and attorneys as to how we can utilize technology to help us create these opportunities and remain legally compliant. We are very excited about these opportunities as we know the internet will truly enable us to have a Global Impact when we may not be able to actually take all of our team globally, at least at this moment in history. Yet, we remain focused in our passionate pursuit of His Presence, and we ask that you will continue to stand with us during this year of TRANSFORMATION THAT PRODUCES HOPE! It is Time for Transformation! It is a true blessing and gift from God when He places individuals into our lives to mentor us and help us accomplish the destiny that awaits us. I am very fortunate to have had many of these great individuals that God has truly blessed me with. 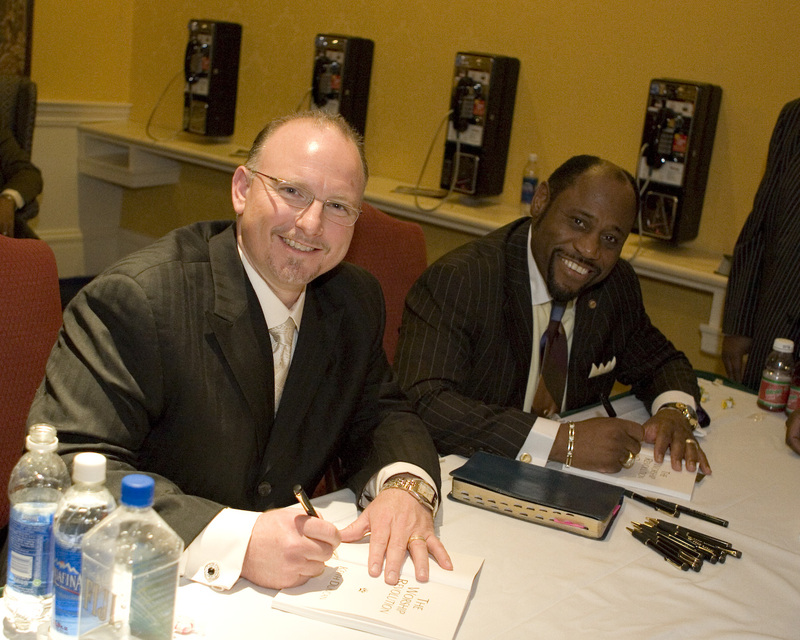 Of course Dr. David & Virginia Horton were my first mentors in worship, and then Dr. Myles Munroe from the Bahamas. I spent 6 years studying under both of these men of God and grew by leaps and bounds. I pay honor to these men as they radically shaped my paradigm of worship and understanding how to give our King what the King truly desires. I will always be thankful that God placed them in my life, and hope that the harvest that comes from the seeds we are sowing will be accounted to them as well. I continue to be mentored and poured into by Bob Collins and Randy Wooden. These are men that I have great respect and honor for. These men are truly Pastors who love their sheep. And they also continue to herald the message of the Kingdom of Heaven. I will continue to seek individuals who will pour into my life and ministry. I also realize that I am also responsible for sharing with those whom I come in contact with and have the ability to speak into those things which I have learned and had poured into me. I realize that I can never receive more from God until I begin to pour out from what I have already received. Today, I encourage you to join me in this decision to continue finding a mentor to pour into you, but also to find mentees that you can pour into. It is time to lay aside the excuses that we may not be able to say it quite as eloquently as another, or put it into a slick presentation that is polished ever so masterfully. The world needs what we have received. They don’t need a copy, they need an original, and it is the passion that fuels our vision that will truly set us apart as originals. We have a destiny that no one can accomplish on planet earth other than we can. It is a unique assignment. And as Dr. Munroe ever taught me and others, our goal is to die empty. I don’t know about you, but I have too much in me to die now. It is time to rise up and begin to pour ourselves out and watch God use us to transform our environment and community. It is time to #RISEUPWarrior and not be silent. It is time for #TRANSFORMATION. Thank you #MylesMunroe, #DavidHorton, #BobCollins, #RandyWooden! As we prepare to celebrate July 4th, I am reminded of the truths this Nation was founded upon and the lack of that truth that is prevalent in today’s society. 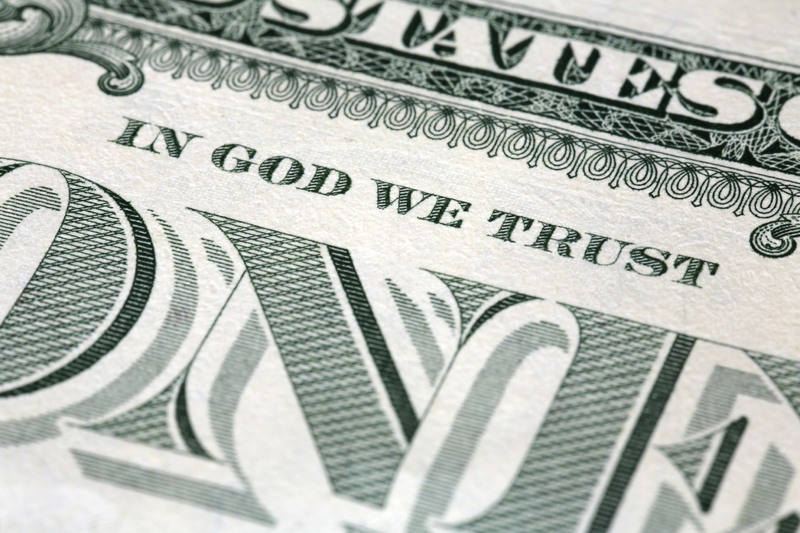 Since the inception of our country, and throughout all of history, our currency has always reflected those monumental words, “IN GOD, we trust.” I heard the voice of the Lord simply say to me that America has enjoyed His blessing and favor and with every item purchased, we continued to sow a seed of declaration letting the entire world know that in “God” (Yahweh) we place our trust. Apart from God, we can only expect calamity and chaos. The key to America once again walking in blessing and favor back at the root of our existence, and that is our dependency upon God and returning to our Christian values as a nation. 2 Chronicles gives us the clear solution to this Mayhem that we are experiencing. (13) When I shut up heaven and there is not rain, or command the locusts to devour the land, or send pestilence among My people, (14) if My people who are called by My name will humble themselves, and pray and seek My face, and turn from their wicked ways, then I will hear from heaven, and will forgive their sin and heal their land. is where we find safety and protection—when we listen to and obey the word of the Lord. So how do we find the answer to the situation? Let’s look at verse 14. The verse begins, “If MY people who are called by My name”. Now, who do you suppose He is speaking to, the Christians or the unbelievers? Without a doubt, God is speaking to those who call Him their God- the Christians. We must first come to grips with the fact that we, as Christians, are the ones who are responsible for change. We hold the key, not Congress, not a political party, and surely not another social/economic program instituted by our government. We as Christians hold the key. Let’s continue on to see exactly what the Lord’s instructions continue to say. I am afraid to say that many Christians today have fallen to the sin of pride and self-sufficiency. We have begun to walk without love and humility and we have figured out the ”business” of the Church. As a result, we have so many ministers and Christians who have lost touch with the good news of Jesus Christ. In many evangelical churches today, we even hear how people are refuting the 10 Commandments as being no longer relevant for today. But always remember that Pride cometh before the fall and a haughty spirit before destruction. Society has made every attempt to make sure that we take prayer out of our schools, out of our business and out of society. It is a sad day when Christians who gather to pray are disbanded, yet some Muslims in this country are afforded extra breaks so they can go and pray to their god. Yet again, where are our Godly values and principles that this country was established upon? Now, more than ever, we must be intentional on gathering for prayer and asking God for mercy upon our nation. Spirit at work within our lives to call us to repentance in certain areas that we may have overlooked in our own lives. Worship is the key to God’s presence, and it is our Worship that will draw Him close to our presence so we can experience a divine exchange from His throne room into our hearts. We are very mindful of the power of worship, and your prayer and financial support help us to create these moments every month for people to discover the presence of God and allow His Holy Spirit to bring hope to their hopeless situations, and encouragement to those who are worn down from the battle. “Repentance”, that is what this scripture is alluding to. But why does He say this to the church? Simply, because we have too much sin in the camp. We have forgotten that there is a Heaven to gain and a Hell to shun. We have been more concerned with the advancement of our own priorities and agendas that we have erred into sin. No, I am not talking about killing people and robbing people, however, we have been guilty of killing people through the slander of the tongue. We have been guilty of covetousness when we see the church growing by leaps and bounds and see how much money is coming in their offerings while we are trying to simply keep the lights on at our churches. How about this one….rebellion! You know, the word says that rebellion is as the sin of witchcraft. I wonder today when prophets come to our churches if they are identifying witches and covens, or if they are simply picking up on the spirit within the church….by those who are called by His name. The Bible is full of if-then statements, and this is one of those keys illustrations. When we do our part, we know that God will do His part. So, what does He say that He will do? God promises, that when we meet his qualifications and requirements- when wehave done everything He instructed us to do- then He would hear from Heaven. God is not a God who does not respond. Oftentimes, when we have not heard from God, may we be reminded of this scripture and ask ourselves if there is something He has asked us to do that we have not yet done. When we fail to do what He has already instructed us to do, Heaven is silent. Thank God for forgiveness of sin. Thank God that when we confess our sin, He is faithful and just to forgive us our sin and to cleanse us from all unrighteousness. Thank God that the forgiveness of sin was provided through the shedding of the blood of Jesus on the cross. And remember that what God calls clean, let no man call unclean! This is what our great nation of America is looking for….a solution to the turmoil that is being recognized. Jesus Christ is the only one who holds the key to healing, and this will be the only way that America will ever be healed and the strong nation it has been over the past 400 years. One Nation Under God… with liberty and justice for all! I believe that God is asking you and I to make our stand today. In the midst of all the world is saying, He is simply looking for someone who will stand in agreement with Him and connect with His words and apply them. I believe that when we as Christians humbly seek the face of God in Worship, and pray and cry out to God on behalf of our nation, God will hear from Heaven and we will experience a mighty wave of God’s Glory and Awakening upon the earth. Prophetically, I believe this is the season we are entering into. To that end, we will continue to create safe places for people to discover and practice the presence of God. We will continue to herald the message of Hope found only in HIS presence. We will continue to share hope and encouragement to the lost and unsaved, as well as those who have grown weary in their pursuit of God’s presence, and we will stake our dependence upon God declaring, “IN GOD WE TRUST”. Michele and I thank God for you, your prayers and your continued financial support. You are the backbone of this ministry! We could not do what we do without your help! Please give your best gift this month to help us share this message of Hope discovered through worship as we encourage others to Declare their Dependence Upon God. We were truly blessed and impacted by the ministry of Dr. Chuck Pierce who was one of our keynote speakers this past Throne Zone in Richmond, VA. His prophetic message and declaration for this particular year in which we are occupying, is of great significance for each of our lives. 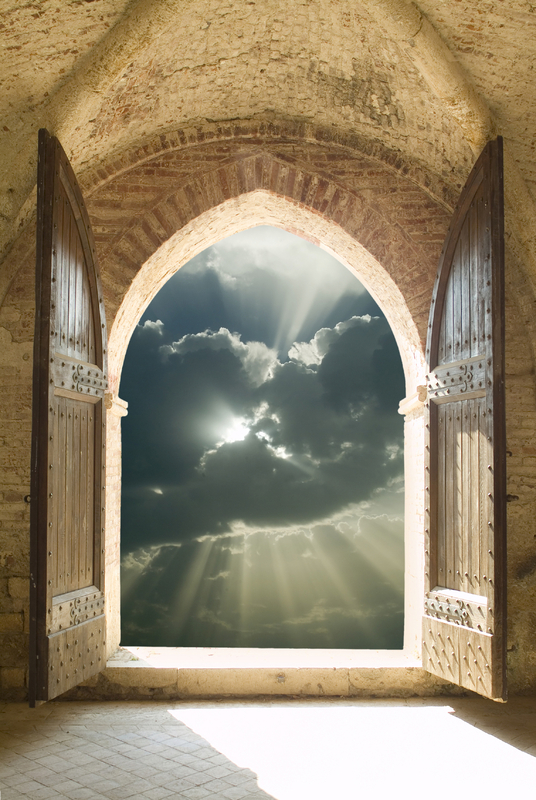 As I am sure you have all heard by now, the declaration and significance for this year in the Jewish calendar is dubbed the “Year of the Open Door”. Doors which have seemingly been shut in the past are going to swing open allowing you the opportunity to walk into your new season of life and ministry. Things that you and I have been praying for over the past several years will begin to open up in this year of the Open Door. cause to open to you. Michele and I make a habit of praying not only for the Will of God in our lives and ministry, but we pray what I have dubbed, “Idiot-proof Prayers”. What do I mean by that? I simply mean that we ask God to shut doors that we do not need to walk through and allow only one door to be open. That way, we are confident of the will of God and the direction of God for our lives. The word of God says that God holds the Key of David: the key that locks and closes doors so that none can open, and opens doors that none can shut. When we pray these “Idiot-proof Prayers”, we are surrendering our plans, thoughts and agendas to God, and giving Him permission to override our thoughts and ideas so that His plans and purposes will be established in our lives. We have witnessed God do that very thing not only in our lives over the past 22 years, but in countless others who have prayed that same prayer. This is a season that the enemy will fill with distractions to keep our eyes unfocused and therefore hopeful that we will lose our balance and fall. But this is NOT the will of God through Christ Jesus for your life nor ours. God desires that we be steadfast, un-moveable, unshakable, always abounding in the work and plan that He has for our lives. And we can maintain our focus and balance as long as we keep our eyes upon God and not on opportunities, problems or circumstances that are going on in our life. Matthew 6:33- “But seek ye first the kingdom of God, and his righteousness; and all these things shall be added unto you.” Our main goal is to fix our eyes continually upon the Father, and walk through the doors that He opens in our life. But what happens when a door is seemingly shut? Always remember that when one door closes, God is opening another door. When we remember this, we must not be startled with the door closing (or how it gets closed), but watch for the open door. I have shared with many that sometimes a closed door may come from being terminated at a job, or a particular season ending in your life. However God chooses to close a door, we must not look at the “How” He did it, but begin to focus and search for the door He is now opening for our lives. As you know we have been planning the Throne Zone Pennsylvania. There was great momentum, but then there was a bump in the road with scheduling conflicts from our contacts in the PA area. We were uncertain as how to interpret this situation and ask God for clarity. As we began to seek His face, not only was there one door that opened, but there were actually two doors that opened that we believe will yield a GREATER HARVEST than we had initially anticipated. One such door was with regard to Cornerstone Television Network which is located outside of Pittsburgh, PA. This year, God has opened a door for us to assist with their worship sets during their Telethons. Historically, it is usually me going with tracks and my keyboard; however this time they approved for me to bring a worship team and band…..something that had been a closed door for a number of years. As a result of this open door, we are providing worship segments for their daily flagship program (which we pre-tape while in PA for the telethon). Additionally, we are there building a heart for worship not only on the program but within their viewing audience. I am late with this letter because I have just returned from Pennsylvania doing their telethon. But this time was different than all others. I had the opportunity each night to share about worship, talk about the Throne Zone dimension of God’s presence, and help give instruction to the viewing audience “HOW” they can create an atmosphere of worship within their homes or work environment. Cornerstone has also just launched a monthly Night of Worship (N.O.W.) with content taken from our tapings. And yes….I had the opportunity to tape the opens and closes for these programs in addition to giving an opportunity for salvation. GLORY TO GOD! This was a HUGE Open Door. So even though we could not affect a few hundred individuals with a Throne Zone Conference this May, God opened the door to impact lives of THOUSANDS through the medium of television. When we decided to postpone the date for Throne Zone PA, we connected with Pastor Randy Wooden from Kingdom Life Ministries regarding a Throne Zone Chesapeake/Virginia Beach in October. As I shared last month, Throne Zone Richmond produced 70% first-time attendees to Throne Zone, most of which came from the Tri-City area. A small percentage of those who attended came from the Tidewater area where we had been for the past 11 years. There was simply no place for them to stay as there were no hotel rooms available. That being said, we are happy to announce that Throne Zone scheduled for May will be rescheduled to October 16-18, 2014, at Kingdom Life in Chesapeake, VA! We have confirmed Bob Sorge will be with us as our keynote speaker. Be sure to register now as space will be limited. Our work continues in Pennsylvania. Thankfully, it will be through the power of the Television, while we continue to build relationships with other Worship Leaders and Pastors in that region. It is interesting to note that this region was the birthplace of the Charismatic Renewal back in 1967 at Duquesne (Du-Kane) University located in Pittsburgh. Therefore, this city serves as an ancient well that I believe God wants to Re-Open and Re-Establish! And so, we continue our efforts to Dig and Re-Open Wells of Worship within the United States and abroad….as HE OPENS THE DOORS! Look for doors that the Lord will cause to open to you. Do not fret or worry with “How” the Lord closes doors that need to be closed. Keep your eye focused upon His plans and purposes for your life. Our first regional Throne Zone Worship Conference 2014 is now under our belt! We are very excited with the success from this new Regional Model that we have adopted. We received 1254 online registrations and averaged between 800-900 people each night. We realized the success from this Regional Model when we saw that 70% of the attendees were not only first time guests, but also were from the Richmond, VA region. We were very blessed by Victory Tabernacle Church, their Sr. Pastor Sam & Donna Luke, as well as their staff who worked very hard to make sure that all of our needs were taken care of. We say a big, “THANK YOU” to Pastor Sam and his staff! Of course we had a few challenges, from with this new Regional Model; one of which was with regard to area hotels. We have been spoiled over the past 11 years to have the conference in the ballroom of the hotel. When we scheduled Throne Zone at Victory Tabernacle, we had no way of knowing that a major soccer tournament was being held 1-1/2 miles away from the church and over 900 soccer players were coming from around the nation to that location and therefore took all of the available area hotels for our guests. We know there were some who came from the Tidewater area on Thursday night, but left on Friday because no hotel rooms were available. This was the case for a number of our guests which prevented us from having all 1254 in one service at the same time. Over the next week or so we will be uploading some pictures from the conference to our website for you to view and see the many lives that were impacted as a result of Throne Zone. We are also very pleased to say that the offerings covered the budget for the conference! This was a HUGE step of faith on our part, yet God honored our faith. A special “THANK YOU” to all those who gave in the offerings who helped ensure this event was taken care of. We truly believe that this is a new season for His Call Ministries, and we believe God continues to call us to Dig the Well of Worship regionally. This is new territory for everyone as we move from the original model of One Conference a Year in the same location that we have all grown accustomed to. It is stretching our faith and our staff to launch out into the deep waters, yet we truly believe there are countless individuals who are crying out for water from these Wells of Worship. On behalf of this ministry, Michele and I say THANK YOU for helping us to dig these new Wells. Without your continued financial support each month, we could NOT answer HIS call. But together, we are bringing water to those who are dry and thirsty. deeper than other areas. But the joy that is witnessed as many of these dry and thirsty souls find the refreshing from the cool waters of HIS presence is PRICELESS! Please check our website often for new developments and new Throne Zone events to be announced. And of course, go to our website and sign up for our e-mail to receive all the latest news, announcements and updates for Throne Zone. Simply click “Throne Zone” for your preferences. Throne Zone is not the only thing that we are concentrating on. We are also partnering with The Worship Center here in the Raleigh/Durham area to begin a monthly Night of Worship. The Worship Center is a wonderful facility that will accommodate 2,400 people. We share the same heart to create a SAFE PLACE for people to discover, explore and practice the Presence of God through worship. A JUDGEMENT FREE ZONE! This Friday night (April 4th), will be our first gathering at 7:30pm. It will be just worship—Morning Glory style; raw and organic with a prophetic flow. We would love for you to join us if your schedule allows. The Worship Center has negotiated special discounted room rates at the Springhill Suites in Raleigh for $75/night plus tax. Breakfast is included. So, help us establish this new well in Raleigh. We are also excited to be announcing that we are taking applications for our Kingdom Worship Institute (KWI) which will begin in September of 2014. The KWI is an 8-month distance program whose curriculum is developed around Praise and Worship, Kingdom Principles and Leadership Training. We have over 30 students who have successfully graduated from this program. They are not necessarily worship leaders. Some are business leaders, afterschool specialty programs, people who desire to use adventure guides as a type of missionary tool, and countless other areas of ministry who had completed this program. For more details, click on www.KingdomWorshipInstitute.com. It has taken some time, but we are proud to announce that Evangel Christian University of America (located in Monroe, LA) has reviewed our curriculum. Their Board of Regents has awarded us 30-credit hours toward the completion of any of their degree programs via their Online Campus. Some of our students already have their degrees, but would like ministerial credentials or need help in obtaining their 501c3 non-profit incorporation to begin the ministry God has placed within them. Thanks to the A.E.G.A. (Association of Evangelical Gospel Assemblies), our students can apply for ministerial credentials with their organization and even incorporate and put into action that which has only been a vision within their heart. This is a true Kingdom Connection, and we are very excited about these new partners in ministry. I am also very excited to announce that Michele has launched the Women’s Ministry arm of His Call. At the Throne Zone in Richmond, she launched her “Choose2Change” initiative. Michele’s desire is to help ladies make small choices that will produce huge changes. Whether it is in the area of nutrition, or exercise or shopping tips, she desires to see YOU be the best that you can be as you fulfill the destiny God has given exclusively to you. So ladies, please visit our website and add “Choose2Change” to your email preferences to receive her updates and announcements. You all are going to have a fun time on this journey with Michele throughout this year. Follow her on Facebook or read her blog at http://micheleduncan.wordpress.com. And finally, we continue to pour into individuals who feel called into ministry. Michele and I will spend countless hours pouring into the lives of these young people who are so hungry to be poured into. We know that God has called us into this season of Fathering the next generation. Our ultimate goal is to have a campus where students can participate in a two-year mentorship program while earning college credits toward their area of concentrated studies. Specifically, we desire to begin raising up Worship Leaders, who are passionate for the presence of God, not just musicians looking for jobs. We are imparting that passion into each student that we continue to pour into whether they are students at the Berklee School of Music in Boston, or at Lee University, or those that simply approach us. We know that God will use this next generation of young people to ignite this coming “Third Great Awakening”. Michele and I want to personally thank you again for making the commitment to stand with us during this 2014-2015 year. There is much to be done in the Kingdom, and we realize that Relationships are the Currency within the Economy of the Kingdom. You are one of our most cherished relationships that we have, and our prayer is that we are one of YOUR most valuable relationships as well. That is what partnership is truly about. With your help, we will make great advances for the Kingdom this year. It is my prayer that you will be one of those receiving from the waters of refreshing from His presence as we attempt to pour into your life over the next 12 months. Together, we will make a huge impact for the Kingdom of God and see many souls transformed by His Presence. We are moving ahead with great excitement, and we are glad that you are joining us on this journey. Christ’s richest and most abundant blessings are our prayers for you and all you do to help us Dig the Wells of Worship! A Special Invitation for You! The excitement continues to build as we prepare for our 8th Annual Throne Zone. In one week, we will meet at the Founders Inn for a much anticipated time worshiping around the Throne of God. I truly believe that many who come are in need of Rest, Refreshing or Renewal, and to that end we are focusing all of our energy and effort to meet them at their point of need. We hope that you will make plans to join us February 3-5, 2011 at the Founders Inn Conference Center in Virginia Beach, VA for the Throne Zone! All who are in need of being in an atmosphere charged with the power and presence of the Holy Spirit….we hope you come. Please help us share this invitation with your Facebook and Twitter friends. Thank you for helping us share this special invitation. PS: The night services are free and open to the public (as space allows). A registration fee does apply to all the daytime session.